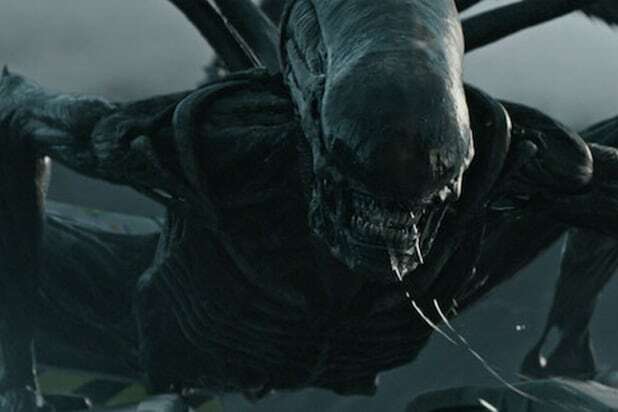 The crowd erupted in cheers while watching a new sneak peek at Ridley Scott’s “Alien: Covenant” at the annual CinemaCon convention in Las Vegas on Thursday. The new trailer showed a darkness take down an entire civilization while Michael Fassbender’s character David (who plays both David and Walter, so it could easily be Walter as well — they look very similar) watches from an epic-looking space ship. Throughout the rest of the footage, it becomes clear he won’t let humans start over on a new planet after leaving earth. The trailer is full of gore as different species (and yes — xenomorphs show up too) take down humans viciously. And Scott, who introduced the trailer remotely, said he just wants to scare audiences — which it seems he will accomplish easily. Scott’s new movie has crew members of the colony ship Covenant bound for a remote planet on the far side of the galaxy. Soon they discover what they think is an uncharted paradise, but is actually a dark, dangerous world — whose sole inhabitant is the “synthetic” David (Fassbender), survivor of the doomed Prometheus expedition. “Alien: Covenant” is intended to be the start of a new trilogy of “Alien” films built on the events of “Prometheus.” Fassbender returns as David alongside Noomi Rapace, who played “Prometheus” protagonist Elizabeth Shaw. Danny McBride, Katherine Waterston, James Franco, Demian Bichir, Billy Crudup, Carmen Ejogo, Amy Seimetz, Callie Hernandez, Nathaniel Dean, Alexander England and Benjamin Rigby round out the cast. Jack Paglen and Michael Green wrote the script. “Alien: Covenant” is set to hit theaters May 19, 2017. 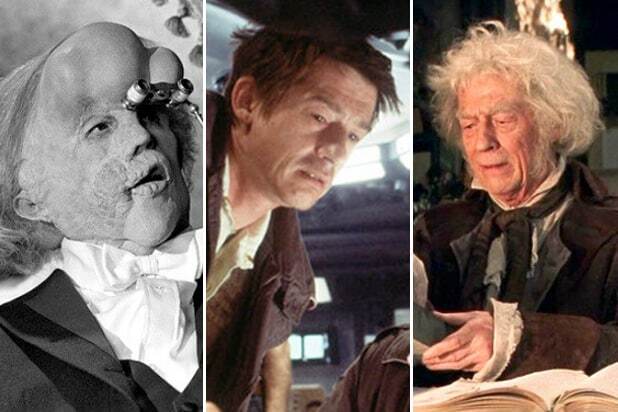 John Hurt’s long and lustrous career spanned more than 50 years and covered a huge number of films before his death this week. There are too many good projects to count in Hurt’s filmography, but here are 10 of best, most fascinating and most memorable roles he performed. Hurt appears in the brilliant BBC miniseries about the politics and backstabbing of early Roman emperors as the mad emperor Caligula, despite being about a decade too old at the time. Though he wore a hilariously obvious wig, Hurt delivered a chilling, must-be-seen-to-be-believed performance as Caligula that stood as the show’s high water mark. In the movie that kicked off a franchise and created one of the scariest monsters ever, Hurt was its first victim. The unfortunate first officer Kane gets killed by curiosity after the alien attaches itself to his face. His death is an iconic horror moment: an alien baby explodes out of his chest. A group of prisoners attempt to escape a Turkish prison in the critically acclaimed “Midnight Express.” Hurt portrays an Englishman addicted to heroin who joins the escape, a role for which he was nominated for an Academy Award for Best Supporting Actor, and won a Golden Globe and a BAFTA Award. A watershed animated film based on the novel of the same name, Hurt voices the lapine leader Hazel as he leads his fellow rabbits on an dangerous adventure. The film is known for being extremely violent for an animated movie, but its cast, led by Hurt, power its themes of bravery and friendship. Hurt captures the humanity and struggle of John Merrick, the titular “elephant man,” who many shunned for his facial deformity. Hurt picked up an Oscar nomination for Best Actor for the role, and was also nominated for a Golden Globe and won a BAFTA. When Mel Brooks looked to parody the entirety of human history, he cast John Hurt as Jesus Christ. Showing up at the end of the film's Ancient Rome segment, Hurt bestowed upon the world one of film history's best takes on Jesus in a scene that largely exists so that Brooks can deliver a hilariously blasphemous take on "Who's on First?" It’s not much of a role, but Hurt might have the greatest cameo of all time in “Spaceballs.” He momentarily reprises his role of Kane, gets his chest blown open by an alien, and mutters, “Not again,” before dying. And then the alien pulls a Michigan J. Frog routine. It’s hilarious, mostly because Hurt is the one sending up his own iconic scene. Though Hurt’s role in the Harry Potter films wasn't a huge one, it was important. As the eccentric and mysterious Ollivander of Ollivander’s Wands, he’s one of Harry’s first introductions in the magical Wizarding World. He becomes a much larger part of Harry’s story during the final two films in the franchise, “Harry Potter and The Deathly Hallows” Parts 1 and 2. Dystopian future thriller “V for Vendetta” imagines fascism overtaking Britain. Hurt plays Supreme Chancellor Sutler, a paranoid, Wizard of Oz-like Hitler allegory that Hurt constantly infuses with a brutal, frightening rage.